The US has long opened its doors to Brazilian manufacturers when it comes to hardwood flooring. However, the US Government is strictly monitoring foreign manufacturers that deal with materials made up of animal and plant origins. They make sure that flooring manufacturers are certified by various regulation agencies to ensure that the safety and health of people and the environment is of high priority. This is why Wood Floor Planet, which has extensive experience in marketing and installing hardwood floors for both New York and New Jersey areas, has decided to include Triangulo Flooring from Brazil to be one of their flooring brands. Triangulo flooring is not only Lacey-Act compliant, but they also have more than 280 square miles of forest land that ensures they can sustainably harvest all the exotic flooring materials without endangering our environment. Triangulo Flooring specializes in exotic wood species, which come in either solid hardwood flooring or engineered hardwood flooring. Homeowners living both in the New York and New Jersey areas can enjoy having real solid hardwood flooring from exotic species such as Brazilian Cherry, Brazilian Chestnut, Brazilian Teak, Amendoim and Tigerwood. Each solid wood flooring coming from Triangulo is made from ¾ inch thick solid wood panels with fabricated groove sides to help join the boards together. If budget is a bit of a concern, homeowners can opt to install the more affordable exotic engineered hardwood flooring from Triangulo. You can choose from the same exotic species as that of the solid hardwood collection, but will only have to pay a fraction of the price. The engineering process involved in the manufacture of each Triangulo Exotic Engineered Hardwood flooring is of the highest quality, which is backed by a guarantee that would last for generations. With Triangulo flooring’s guideline of “Man and Nature in Harmony”, it is no wonder why Wood Floor Planet avidly promotes Triangulo’s exotic hardwood flooring materials. The reliability of the production process of Triangulo makes it easier for Wood Floor Planet to offer its customers long warranties. 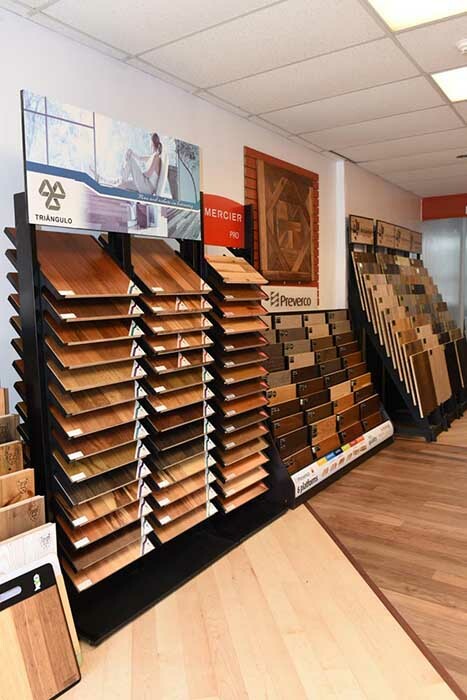 Aside from distributing high quality wood flooring materials, Wood Floor Planet also offers professional consultation to New Jersey homeowners when it comes to flooring materials and installation.